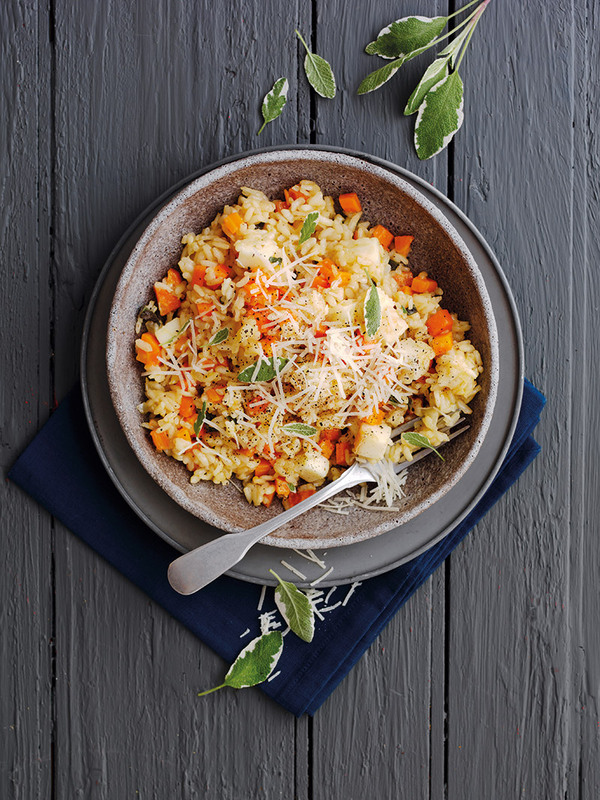 Creamy and comforting, there’s nothing quite like a delicious risotto! Heat the oil in a large sauté pan or saucepan and add the organic carrots and onion. Cook gently, stirring often, for 10 minutes. Add the rice and stir over a low heat for 2-3 more minutes, without browning. Add the wine and let it bubble up for a moment or two. Pour in half the stock. Stir well, then cook over a medium heat for 10 minutes, stirring occasionally. Cook until the rice is tender, gradually adding the remaining stock, and stirring often. This will take a further 10-15 minutes. Check that the rice is done to your liking – it should be soft, with just a hint of ‘bite’. Stir in the sage, Taleggio and grated Parmesan cheese. Check the seasoning, adding a little salt and pepper if needed. Serve, garnished with fresh sage leaves and grated Parmesan cheese, with a little extra black pepper. Cook’s tip: If you like, serve the risotto with a few torn-up slices of Parma ham scattered over the top. You could use Brie instead of Taleggio cheese. Use organic ingredients where possible.